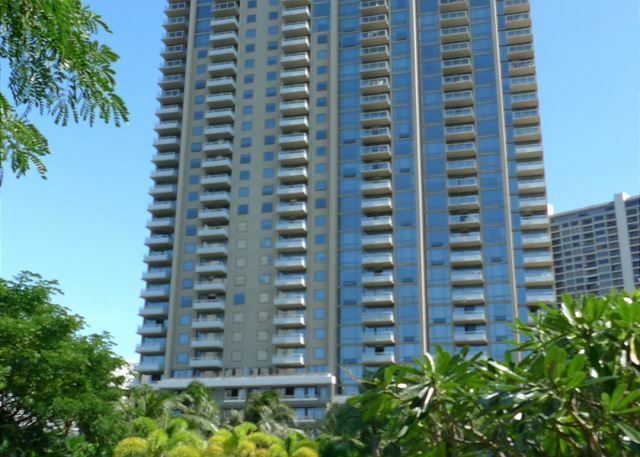 Watermark #806 - Located on the outskirts of Waikiki, this unit is close to everything. 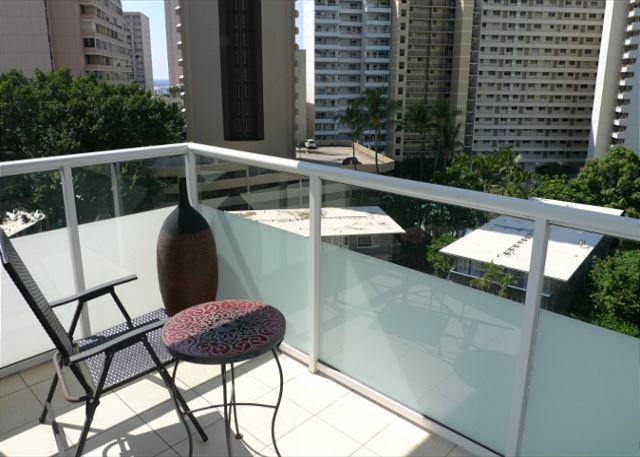 Located on the outskirts of Waikiki, this unit is close to everything. 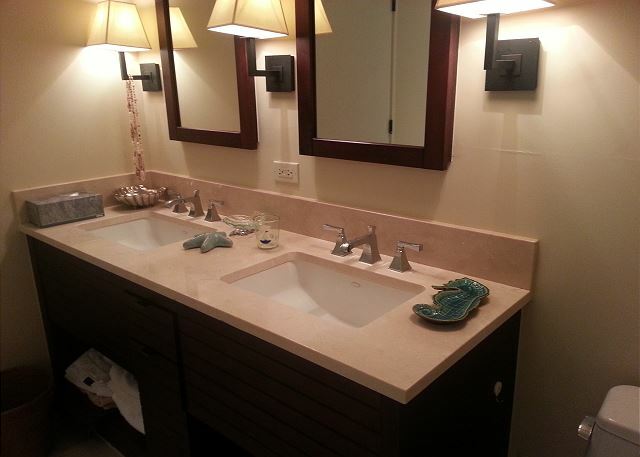 The Watermark is perfectly located on the side of Waikiki adjacent to the Ala Wai canal, peaceful, gated residence is just outside of all the excitement of Waikiki. 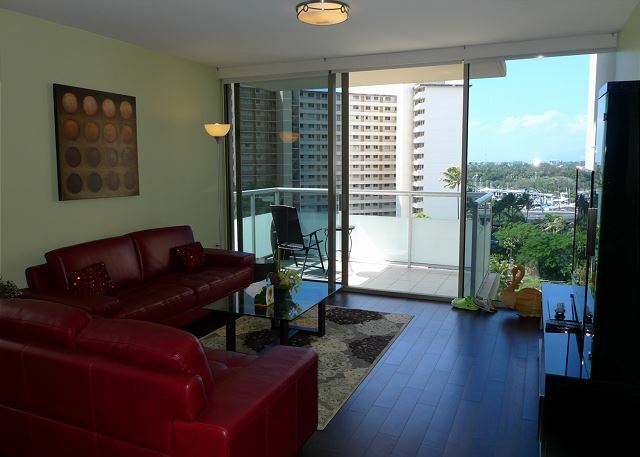 It is just steps away from Ala Moana Shopping Center and Ala Moana Beach Park for many recreational opportunities. The Hawaii Convention Center is within walking distance. The spacious lobby serves as a gateway to the beautiful pool, whirlpool, barbecue areas and pathways leading to the gardens. 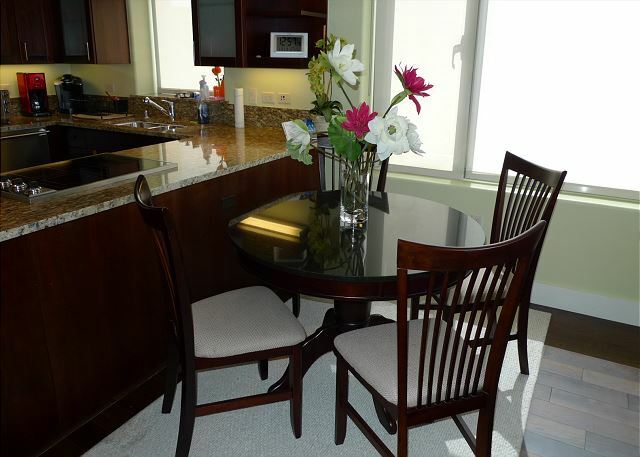 Exercise room and library are also located near by the lobby.This two bedroom, two bath room unit is elegantly finished with wooden cabinetry, granite countertops, Viking series appliances, and plenty of closet space. There are queen beds in each of the bedrooms. Living area is full of warmth and inviting. 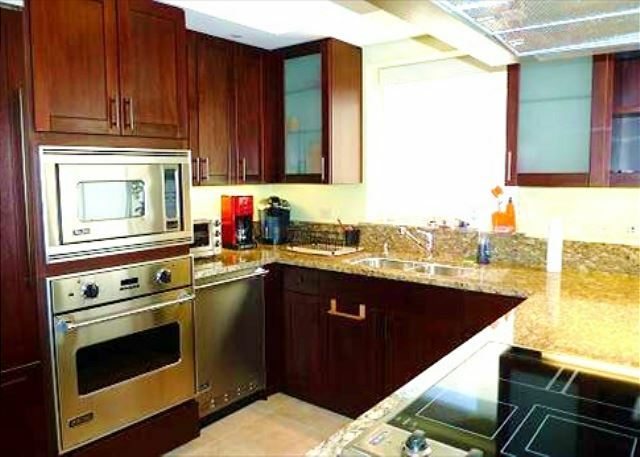 Oversized kitchen with counter and dining table offers enjoyment of cooking and entertaining family and friends. 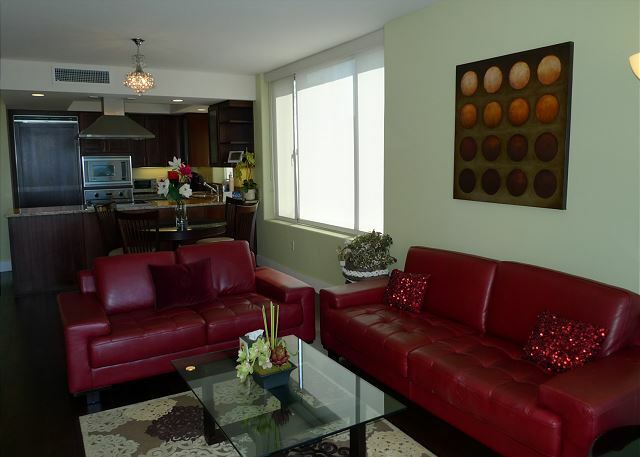 Living room offers comfortable living sets and large flat TV for family entertaining. 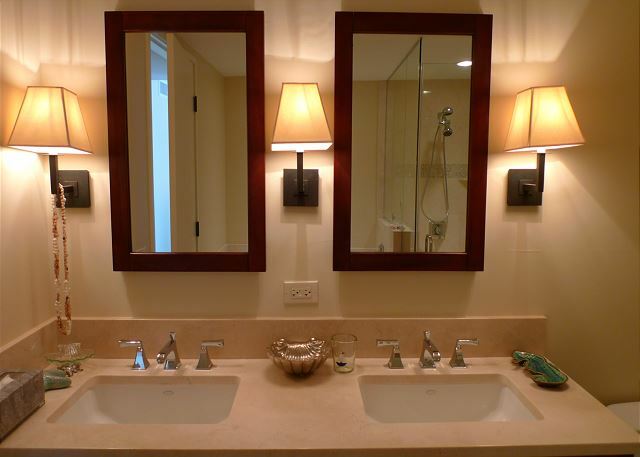 Master bathroom has His And Hers Vanity, deep soaking tub, and shower booth. 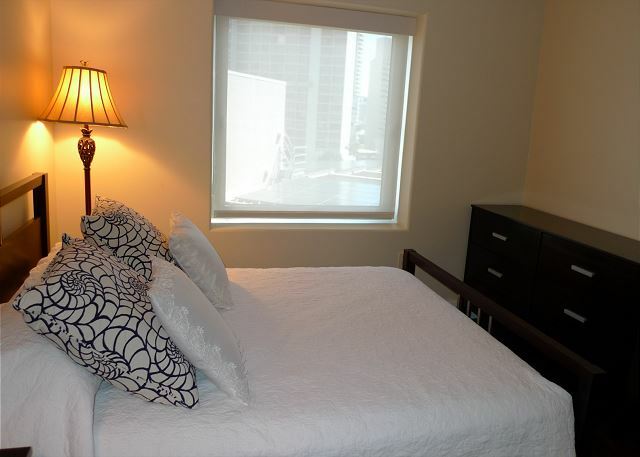 Included with your rental are free local calls, WiFi Internet, basic cable TV, and two free covered parkings. Important Notice: The pool area and the BBQ area will be temperaly closed for repair work. The construction period scheduled for 4/15/19-9/16/19 (Date may change depends on work process), Pool and BBQ will be closed during the period. 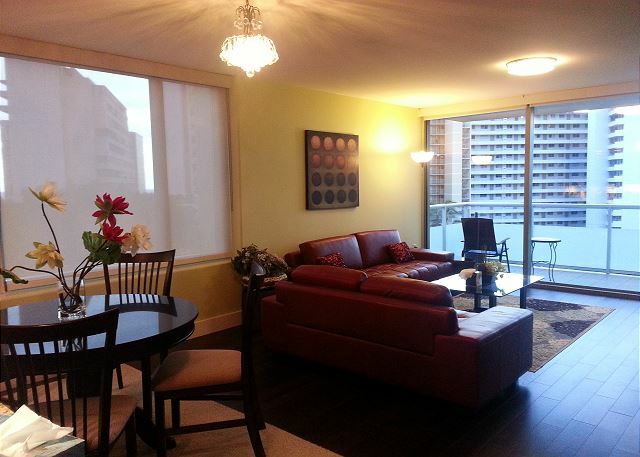 My wife and I love this condo. It is in a perfect location. 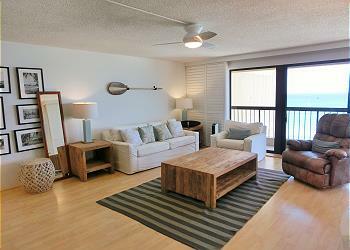 We stay a condo near Ala Moana every winter. And we stayed The Watermark this year. It was an easy walk to Ala Moana beach park, shopping center, Fort DeRussy and Beachwalk. The condo is nicely appointed. 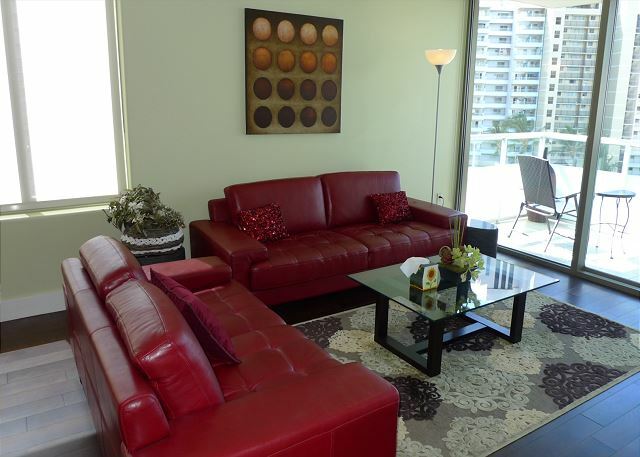 Airy pool and garden, amazing view of Ala Wai harbor, comfortable parking lot. And staffs, they are thoughtful and friendly. Highly recommended. Beachfront retreat! 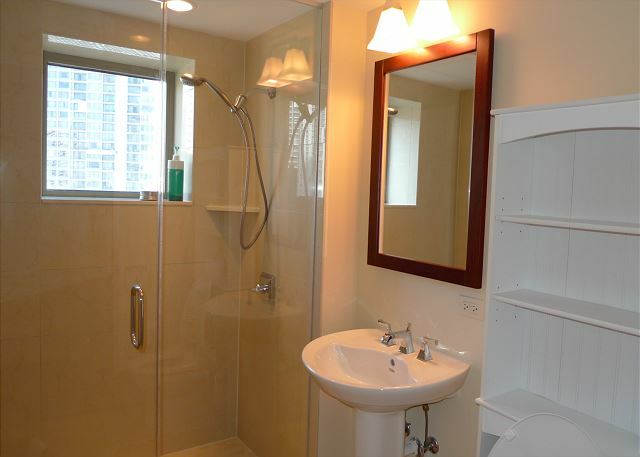 Breathtaking ocean view of the Waikiki Beach area. 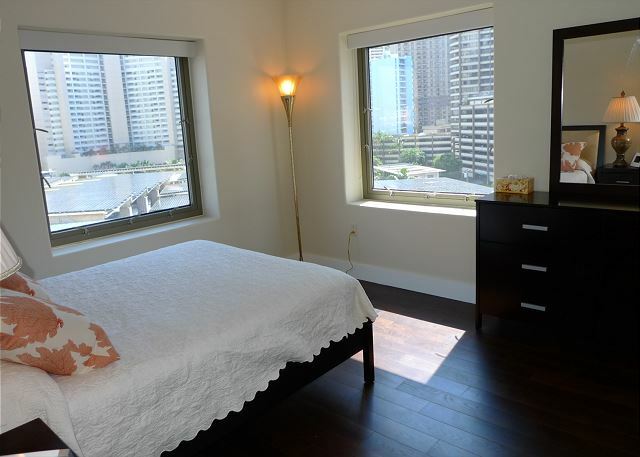 The Waikiki Beach Tower is right across the street from the Beach! Breath taking ocean view of south shore line.